Nitric oxide (NO.) is a small, diffusible free radical that is generated from L-arginine by a family of enzymes, collectively termed the nitric oxide synthases. We investigated the role of NO. in tendon healing. NO. 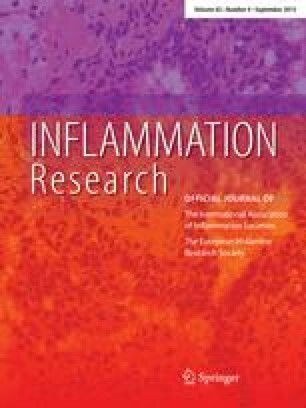 synthase activity and immunoreactivity was absent in un-injured rat Achilles tendon. After surgical division there was a five-fold increase in NO. synthase activity and immunoreactivity within the healing tendon at day 7, with a return to near baseline levels at day 14. Inhibition of NO. synthase activity with oral administration of N<omega>-nitro-L-arginine methyl ester (L-NAME) resulted in a significant reduction in cross-sectional area (30% at day 7, p < 0.01, 50% at day 15, p < 0.001) and failure load (24% at day 7, p <0.01) of the healing Achilles tendon constructs. Rats fed the same regimen of the enantiomer of L-NAME, (D-NAME) had normal tendon healing. These results indicate that nitric oxide synthase is induced during tendon healing and inhibition of nitric oxide synthase inhibits this tendon healing.